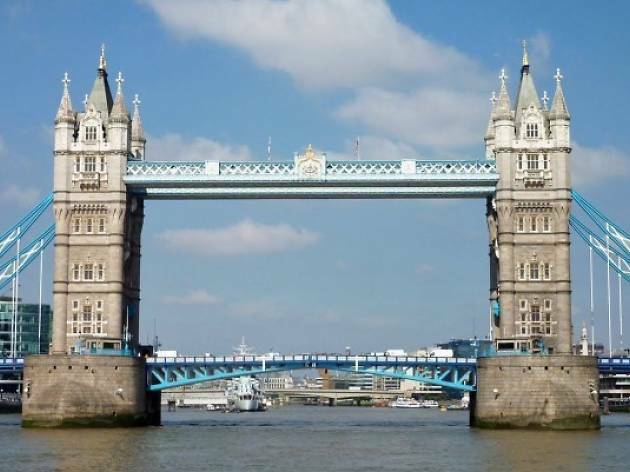 If you’re stuck for things to do in this fine city of ours, you should definitely consider a Thames river cruise. 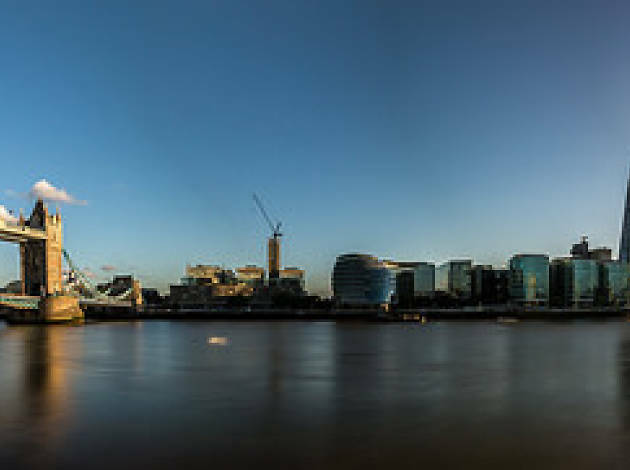 After all there’s a reason why many Bond films feature a chase sequence on London’s river. James knows that for the best views of this city you head for the banks – and, if you catch a few international crooks along the way, well that's just an added bonus. 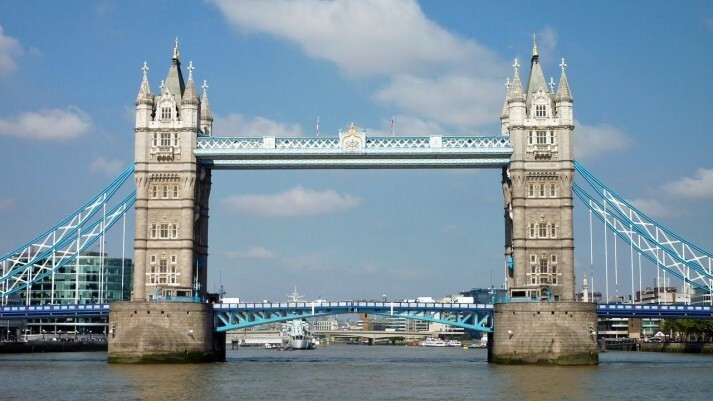 Ditch dry land, hop aboard a Thames river cruise and get ready to spot some of London's top attractions along the waterway. And if you’re looking for other stuff to keep you occupied, here’s our list of 101 things to do in London. And hey, some of them are on the river, so cruise away, sailor. 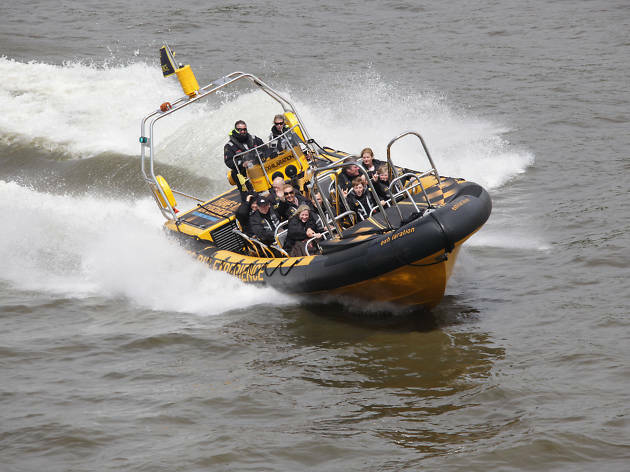 Bring your waterproofs, because the slick RIB (rigid inflatable boat) operation offers a high-speed ride on the Thames. 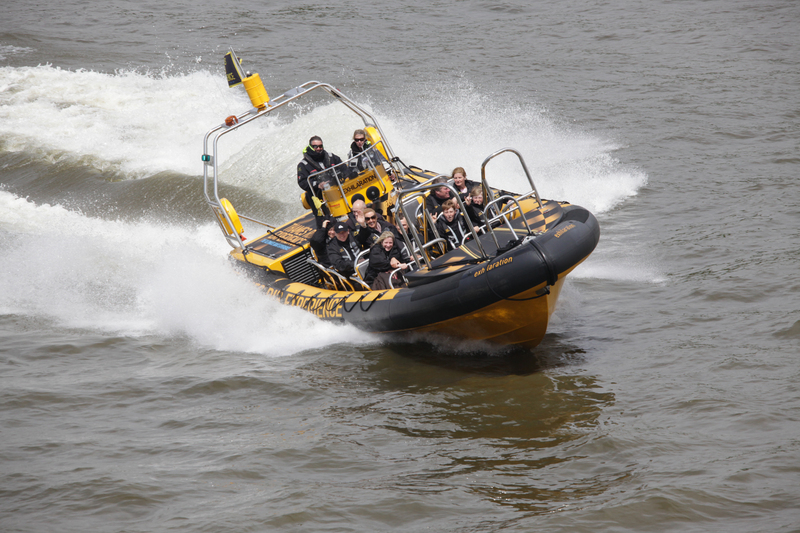 It's a great way to discover how exhilarating it can be to swoop along the Thames at almost 30 knots – that’s nearly 35 mph, nautical novices! We're not sure how much you'll actually be able to see, but there are plenty more leisurely-paced tours for that sorta thing. 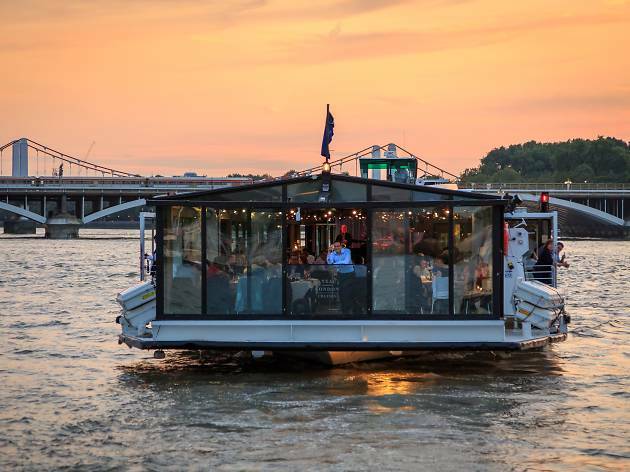 A good river cruise for those who want a spot of grub while taking in the sights along the Thames – Bateaux offer a full range of different dining cruises. 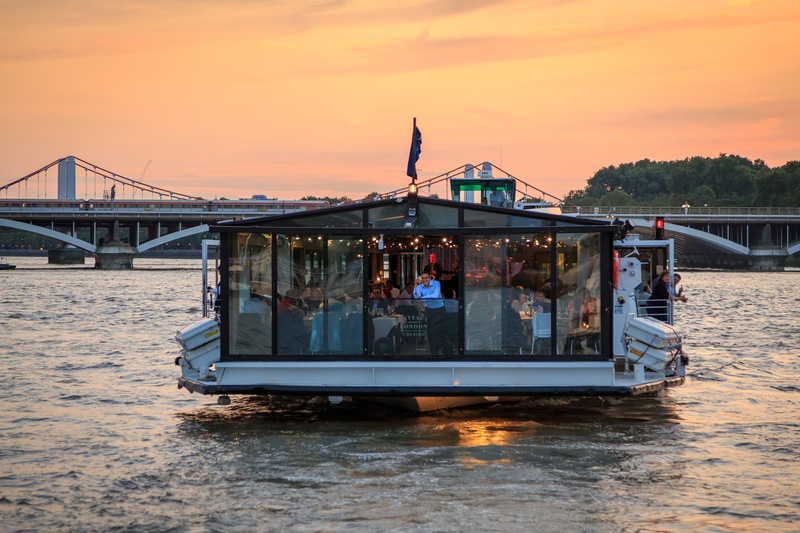 There’s the lunch, afternoon tea and dinner cruise – or you could really pull the stops out and enjoy their three-course lunch with a live jazz band playing assorted swingin’ classics. All river cruises depart from Victoria Embankment. Want to see the city in style? 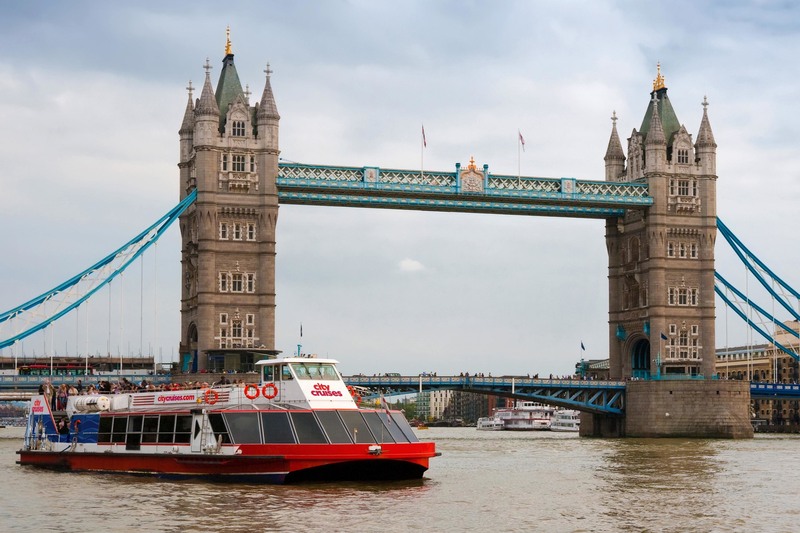 City cruises operate on a hop-on, hop-off basis and run from Westminster, Waterloo, Tower and Greenwich Piers with commentary along the way. 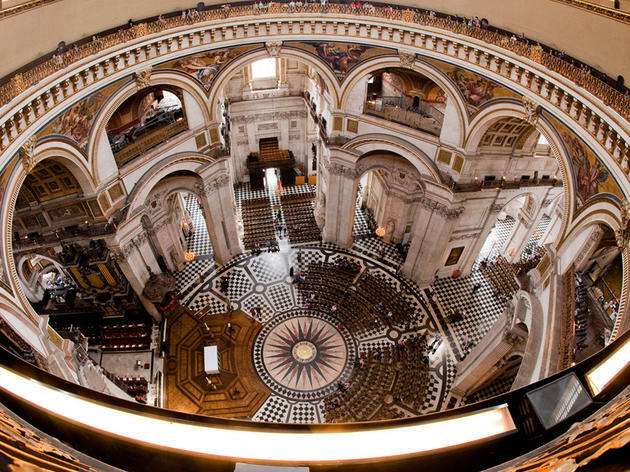 All the departure points are convenient for the city’s various sights, with Greenwich Pier ideal for the Cutty Sark, the National Maritime Museum and the Royal Observatory. Venue says We are launching our 1st ever calendar of music events starting May. Each event will feature well-known radio DJs and artists! Check it out! Praise whichever brilliant mind decided to paint the scant remaining WW2 landing vehicles in bright, rubber-duck yellow! 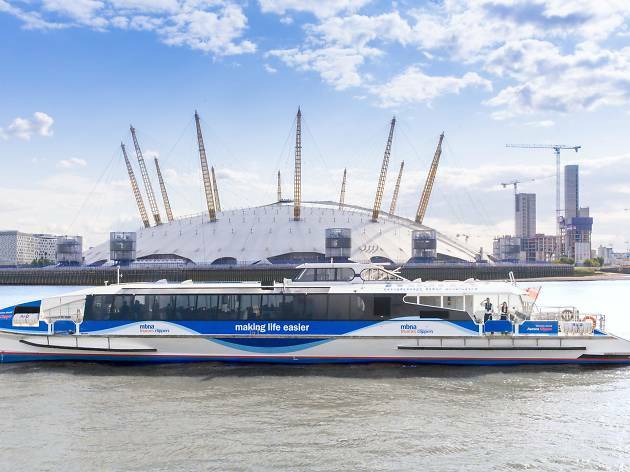 These duck city tours take in all the typical land-based sights – then has two ‘splashdowns’ into the Thames as it goes into nautical mode and takes passengers around Docklands, Canary Wharf and Greenwich. 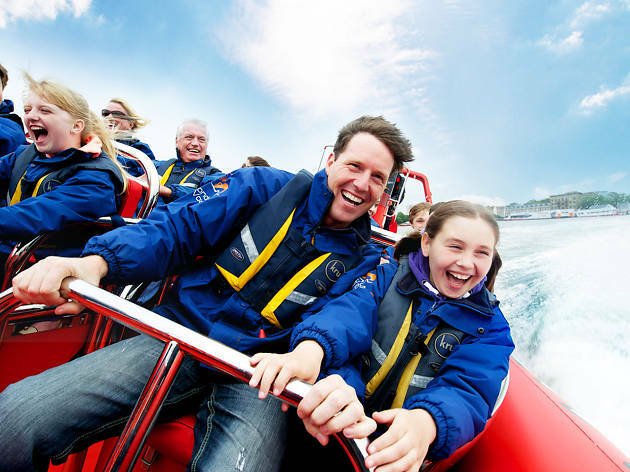 Imagine a rollercoaster on the river and you'll have a good idea of the Thames RIB Experience. 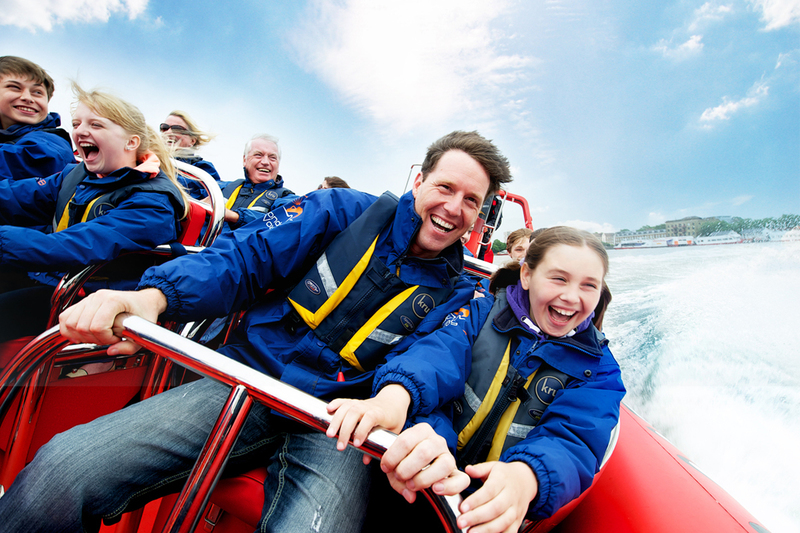 Fly across the water in these speed boats, which speed along at an impressive 40-45mph. You can choose between 75, 50 and 20-minute journeys along various stretches of the river. In case you were wondering, lifejackets and waterproofs are provided. Before you know it, you’ll be whizzing around in figure-eights in the open water between Tower Bridge and Canary Wharf. Without a doubt, the most thrilling journey you’ll do on the Thames. Thames River Boats take you all the way from the Palace of Westminster upriver to Hampton Court Palace. It’s a pretty leisurely 22-mile journey: in 90 minutes you’ll be at Kew; in another 90, you’ll be at Hampton Court. But this westward route is a lovely way to appreciate the Thames, as the banks get greener, less cluttered with high-rise buildings and the river buses are replaced by rowers. Given their leisurely 30mph pace, you're unlikely to find a Thames Clipper crammed with commuters, but that means loads of seats are freed up for those enjoying a fun day out. 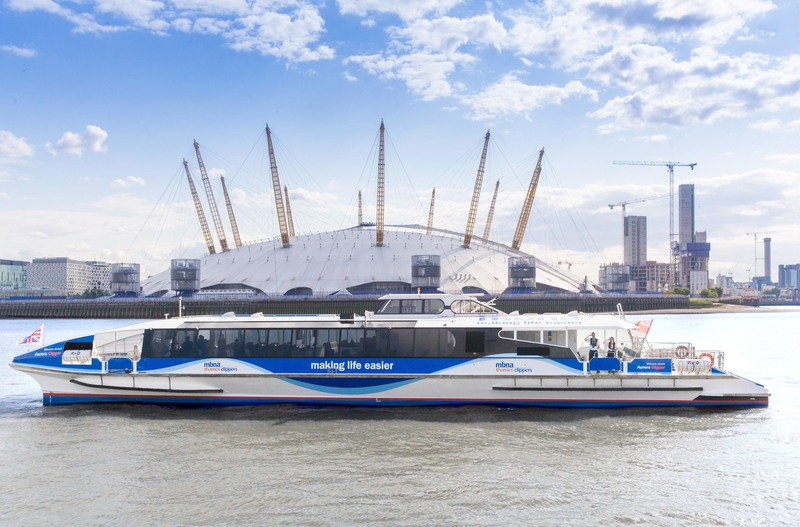 You can hop on at any of the 22 piers along the river, from Battersea to Greenwich, with your Oyster card (£4.10-£7.50) and enjoy a pleasant ride past landmarks like the London Eye, Tower Bridge and The O2. Why choose between the road and the river when you can have both? 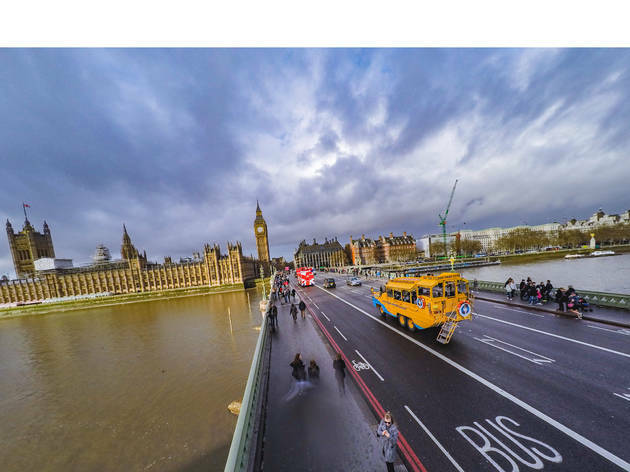 First up on this guided tour you'll be driven round the capital in a routemaster (that's the old red double decker bus), before boarding a Thames Cruiser to view the sites from the water. 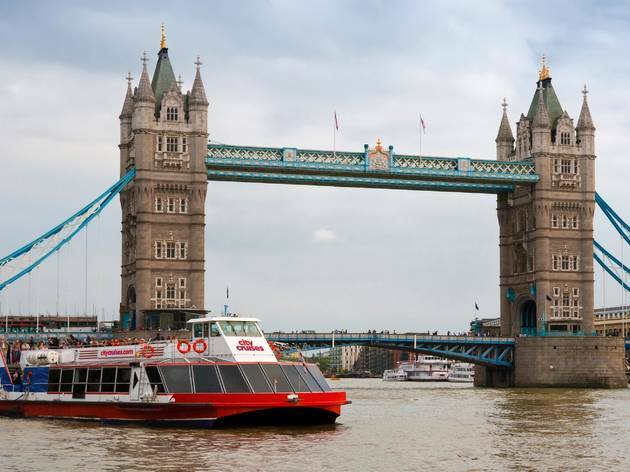 Sail past landmarks like Shakespeare's Globe and Tower Bridge, before getting back on the bus and heading to her Maj's residence: Buckingham Palace. There's also the option to add a ticket for the London Eye on this package. 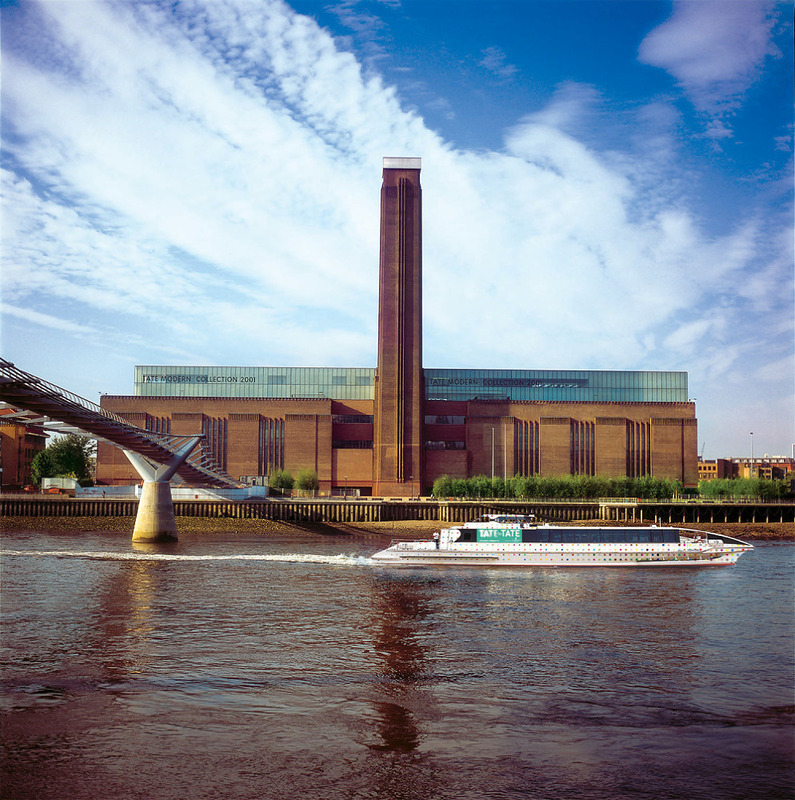 A connecting service between either art institution, the Tate to Tate Boat runs every 40 minutes. Aside from getting you from one gallery to another, it’s also great for taking in lots of central London scenery. As you might expect, the boat itself is an arty affair: YBA Damien Hirst covered both the exterior and interior with his trademark spots. 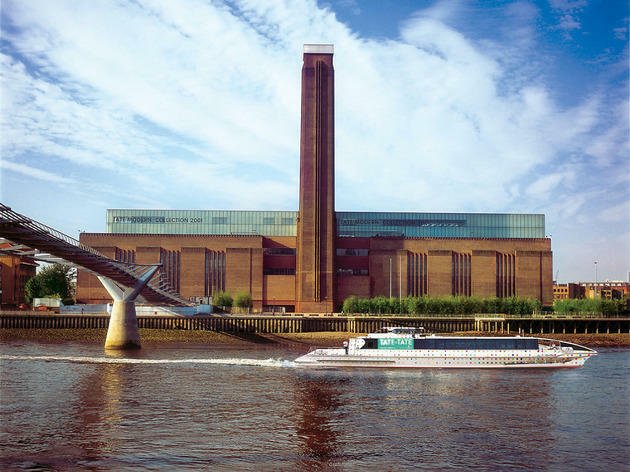 It’s also genuinely the quickest way to travel from Tate to Tate – this way, you avoid an irritatingly convoluted tube or bus journey.